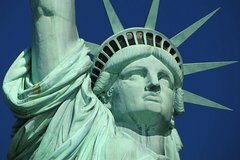 Check out two of the biggest attractions in NYC in one 3 Hour Tour of the Statue of Liberty and Ellis Island! A world class guide and professional story teller will take you to the best places in the New York Harbor. This tour starts with Early Access Reserve Tickets to get to Liberty Island and the Statue of Liberty before the big crowds. Once there, you will learn about the history and construction of the Statue of Liberty. Your guide will also help you get amazing pictures with the Statue of Liberty and an awesome view of New York City, One World Trade Center, and the New York Harbor. Then hop back onto the ferry to experience Ellis Island. Learn about the incredible history of the island and the intense process of immigration to America that took place on Ellis Island between 1892 and 1954.